090601 - "Bottom of Donut Hill" - 16in x 20in, oil on canvas $950. 090602 - "Elmwood Hotel" - 36in x 60in, oil on canvas $5000. 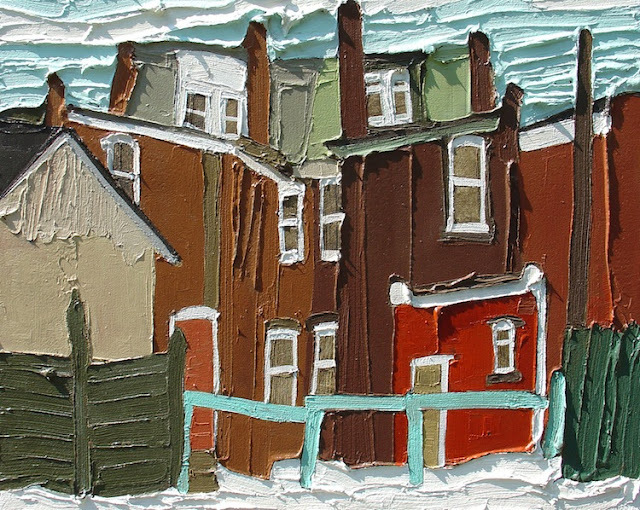 090604 - "Clyde Street, Halifax" - 14in x 30in, oil on canvas $1200. 186021 - "Willow Street" - 18in x 40in, oil on canvas. $2200. 2008OL1 - "Red Window" 20in x 16in oil on canvas (2008) $950. 2008OL2 - "Four Brick Houses" 18in x 24in oil on canvas (2008) $1200. CM0011 - "Two Yellow Kitchens" - 24in x 18in, oil on canvas (2017) $1200. 12004 - "Four White Houses" 36in x 36in, oil on canvas (2012) $2800. CM0013 - "Big Blue Kitchen" - 24in x 18in, oil on canvas (2017) $1200. CM0014 - "Three Brick Houses" - 24in x 18in, oil on canvas (2017) $1200. CM0015 - "Two Blue Kitchens" - 30in x 40in, oil on canvas (2017) $2800. 710703 - "Three Yellow Houses" - 40in x 30in, oil on canvas (2017) $2800. 610705 - "Lunenburg (Below Montague)" - 24in x 60in, oil on canvas (2016) HOLD. 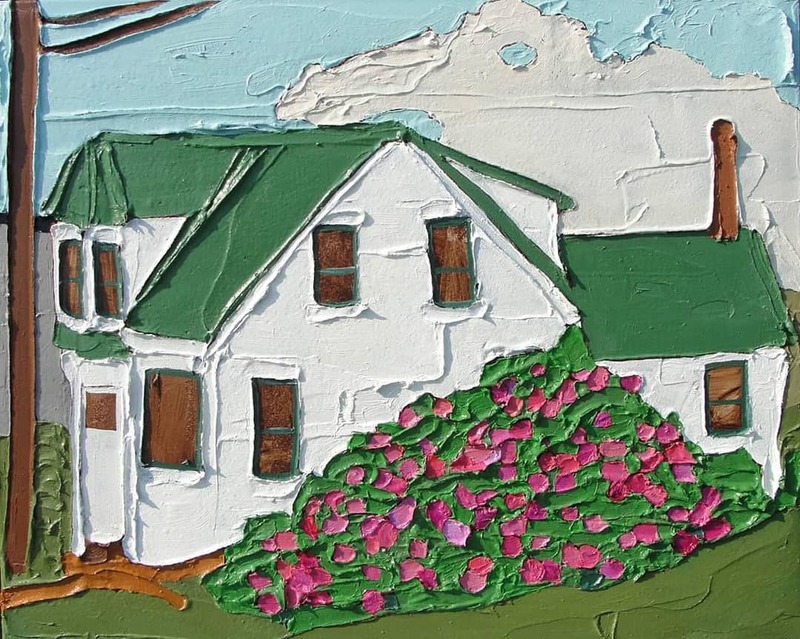 610705 - "Cornwallis St., Lunenburg" - 36in x 72in, oil on canvas (2016) $4600. 610711 - "Fisheries Museum" - 18in x 24in, oil on canvas (2016) $1200. 610707 -"Bluenose Drive" - 10in x 12in, oil on canvas (2016) $600. 511103 - "Africville" - 40in x 48in, oil on canvas (2015) $4200. 10891 - "Old Green Gate" - 36in x 36in, oil on canvas (2009) $2800. 414001 - "Three Yellow Houses" - 24in x 36in, oil on canvas (2014) $2400. 16020 - "Green Chain-Link" - 16in x 20in, oil on canvas, $950. BL077 - "Birch Tree" - 16in x 12in, oil on canvas (2006) $600. © 1998-2017 Jennifer Harrison all rights reserved. Please email before reproducing any image. sent out 2-3 times per year.